Lake Tomahawk offers a variety of meeting rooms to meet your groups needs from Senior adults to children. We have a climate controlled chapel which will seat up to 400 guests with break-out rooms on the sides. We have a beautiful Dining Hall with a meeting room. Our new 175 seat chapel is equipped with sound and projector, perfect for a church group or meeting. We offer a variety of choices to meet your groups facility needs. Please do not bring any pets of any kind with you to Lake Tomahawk. Pets are not allowed per the Texas Dept. of Health Youth Camp Act. 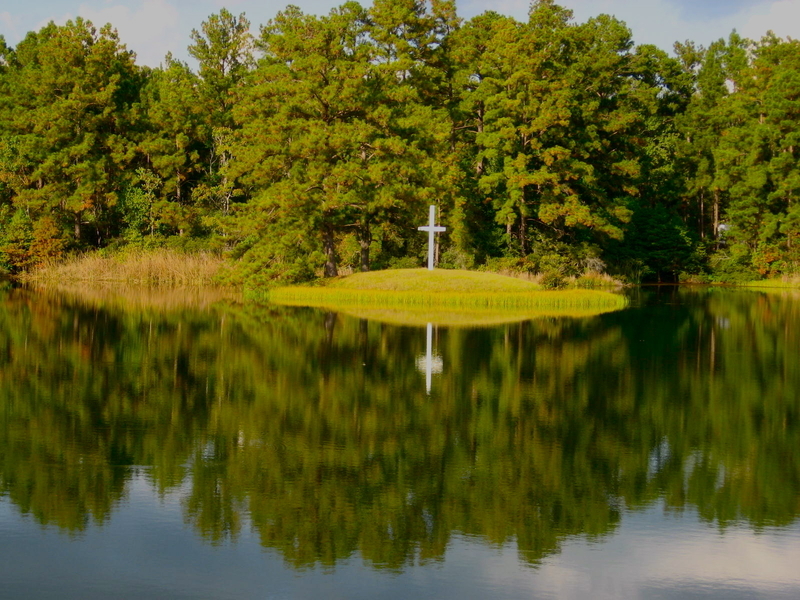 Lake Tomahawk offers a variety of dorm style housing to meet your groups needs. Our dorms are clean and air-conditioned, perfect for the camp feel. The dorms are perfect for groups. Lake Tomahawk offers two types of private rooms. We have three motel rooms in the Powell Building, and two motel rooms in the Twin Oaks Building. We also have 8 beautiful Bungalows with a gazebo in the center. These are perfect for a family or small group. We have an outstanding summer waterfront with swimming, canoeing and paddleboats, a 35 foot Blob, 100 foot Wet Wille Slide, and Aquaglide. The fishing is excellent! 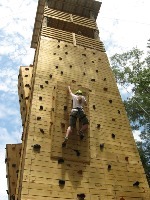 We also have a new 60 foot Climbing Tower with two 1000ft Zip Lines accoss Lake Tomahawk.